Prof Nawangwe Wants Makerere University School Of Law Closed. 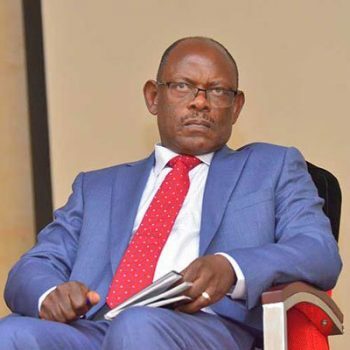 Makerere University vice chancellor, Prof Barnabas Nawangwe on Tuesday 12th February asked the university to close the School of Law indefinitely for allegedly being defiant and continuing with the sit-down strike. Prof Nawangwe accuses the School of Law dons of deliberately refusing to return to class to teach and inciting their fellow colleagues to continue with the strike despite some lecturers in other colleges resuming work. “All colleges have since resumed full teaching except the School of Law where no teaching has been reported. The continued defiance by the School of Law, means that the students will not be taught for a fourth week running, and this is likely to lead to a deterioration of discipline among the students with unforeseen consequences,” reads part of Prof Nawangwe’s report to the university council, the top governing body. The recommendation to have the school closed followed a directive by the council chairperson, Ms Lorna Magara requiring the vice chancellor to provide the council with a status report, clearly enumerating the actions taken to resolve the impasse between management and staff. In his report, a copy of which this publication has seen, Prof Nawangwe said that they have engaged in numerous meetings with the striking staff and the students’ leadership to resolve the impasse and return the university to normalcy. He however notes that despite the fact that engagements are ongoing, the standoff is still in place predominantly in the School of Law. The university council meeting where Nawangwe presented the report is still underway. The council summoned the school’s Principal, Associate Prof Christopher Mbazira, to discuss this issue further.